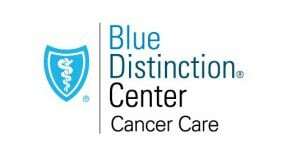 St. Peter’s Hospital , an affiliate of St. Peter’s Health Partners, has been designated a Blue Distinction Center for Cancer Care by BlueShield of Northeastern New York, as part of the Blue Distinction Specialty Care program. By combining nationally consistent quality criteria with locally effective value-based programs, Blue Distinction Centers for Cancer Care deliver maximum value to members battling cancer by aligning health care payments with improved health outcomes. The designation is available for all cancer types and various care settings, including physician groups, cancer centers, hospitals and accountable care organizations (ACOs). St. Peter’s Hospital received the designation by incorporating patient-centered and data-driven practices to better coordinate cancer care and improve quality and safety, under a value based payment model. Blue Distinction Centers for Cancer Care are reimbursed based on how they perform against both quality and cost outcome targets in order to receive incentives and rewards for better health outcomes – rather than traditional fee-for-service. Care delivery transformation to improve quality and affordability is most successful when accompanied by transformation to a value-based payment model. At St. Peter’s Hospital Cancer Care Center, patients requiring cancer care can access a state-of-the-art oncology center with advanced diagnostic and treatment options, in an atmosphere of comfort and compassion. The center’s patient-centered approach is supported by a multidisciplinary team of physicians, surgeons, nurses, therapists, physicists, dosimetrists, administrators, and support staff. This team works together every day to meet the individualized needs of patients and their families. The center’s comprehensive program begins with prevention and education, and offers both inpatient care at St. Peter’s Hospital and outpatient services at the Cancer Care Center, which is located adjacent to the hospital. The center provides the most advanced treatment options, diagnostic testing, medical oncology, radiation therapy, and multiple surgical specialties. St. Peter’s Hospital Cancer Care Center has been accredited by the American College of Surgeons Commission on Cancer since 1985, accredited by American College of Radiation Oncology since 1999, is a member of the Association of Community Cancer Centers, and in 2017 and 2018 was named one of America’s Best Hospitals for Cancer Care by Women’s Choice Award. Since 2006, the Blue Distinction Specialty Care program has helped patients find quality specialty care in the areas of bariatric surgery, cancer care, cardiac care, knee and hip replacements, maternity care, spine surgery and transplant, while encouraging health care professionals to improve the care they deliver. For more information about the program and for a complete list of designated doctors and medical facilities, please visit www.bcbs.com/bluedistinction.